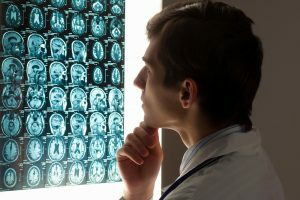 What’s the Right Treatment for a Traumatic Brain Injury? There are numerous types of traumatic brain injury (TBI) affecting over 1.5 million Americans every single year. As a consequence of such injuries, over 230,000 are hospitalized, while nearly 50,000 succumb to their injuries and pass away. According to the Centers for Disease Control (CDC), these numbers are rising each year. Despite the profound advances in TBI research and treatment, more and more individuals are suffering injuries from sports, accidents, and attacks. With a large number of TBIs, treatment can vary – and finding the right one could mean success for the future. Did the injured person lose consciousness? How long did they lose consciousness? Were there any immediate changes in speaking or coordination? What part of the head was struck? Computerized Tomography or CT Scan – A test performed in the emergency room for a suspected TBI. The CT Scan utilizes X-rays for a detailed image of the brain. MRI, or Magnetic Resonance Imaging – An MRI uses radio waves and magnets to produce an image of the injured brain. Typically, an MRI is scheduled after the injury has stabilized. The treatment for a traumatic brain injury varies, depending on the level of severity. Generally, traumatic brain injuries are broken down into categories of mild or severe. From there, treatment is scheduled based on the needs of the patient. A few options include emergency care, medication, surgery, rehabilitation, or for mild injuries, simple rest and relaxation. Diuretics – Drugs designed to reduce the fluid in tissues and increase urine production – they reduce pressure on the brain. Anti-Seizure Medication – Designed for moderate to severe TBI to reduce the risk of seizures within the first week. Coma-Inducing Drugs – For severe TBI that requires a temporary comatose state to limit the amount of oxygen required by the brain. Removing clots – Bleeding outside or inside the brain often leads to clotted blood (hematoma) that puts immense pressure on the brain. Fractures – To repair a skull fracture, surgery may be required to remove pieces of the skull and repair broken portions. Bleeding – Head injuries often lead to internal bleeding that must be stopped promptly. Pressure – In many cases, creating a “window” to the brain can help relieve some of the pressure on the injury by draining cerebrospinal fluid (CSF) to make room for swelling. If you or someone you know has suffered a traumatic brain injury, you may find support for this situation through TryMunity. If you have any questions or concerns, give us a call at (844) 838-2900 – we are here to help.